This is a card we made at Amy Johnson’s meeting last spring. I think it was created by Brandi Barnard. I think it’s really cute and could be used for many different occasions. 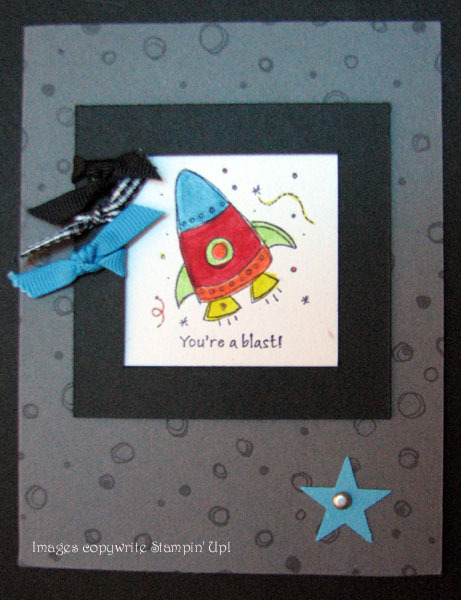 The background was easily created using the Stampin’ Around® Wheel.